I invite you to join the world’s most upsetting Orchestra: the Orchestra of giving. That’s the reason why everyone is afraid to play in it! 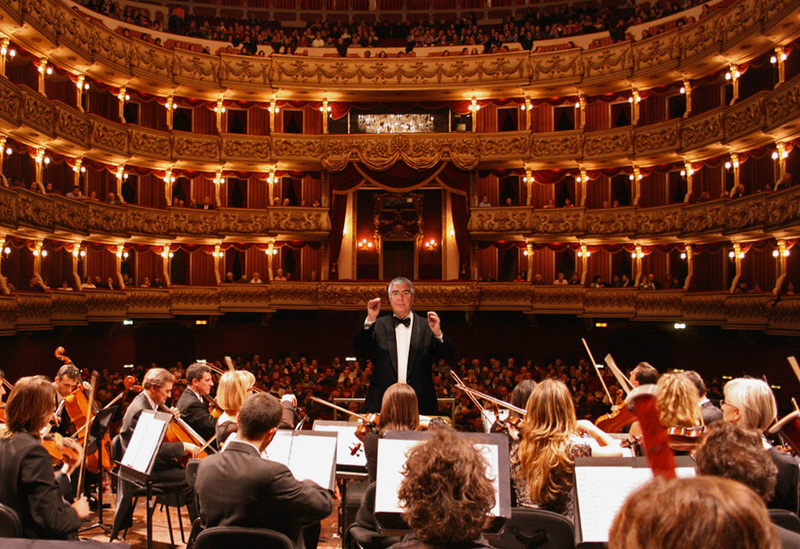 As an orchestra conductor I have a dream: build up a new type of Orchestra, able to propagate a message of universal harmony through the language of music and the actions of its musicians. Prof. Giuseppe Savazzi, conductor, musician, writer, music director of the Rotary Youth International Orchestra from 1987 to 2016. Rtn. Prof. Giuseppe Savazzi-PHF is an Ambassadorial Scholarship alumnus who excelled himself in organizing the Rotary Youth International Orchestra and has been a Rotarian for 30 years. He was the first Italian to be awarded a Rotary scholarship to study music. The purpose of this meeting is to create a large symphony orchestra with more then hundred musicians and 50 singers, so that divine sound can touch all the creatures of the Earth, in union with the harmony of heaven, so together we can contribute to a world of peace and love among all peoples of the Earth. because nobody, alone, is an Orchestra!